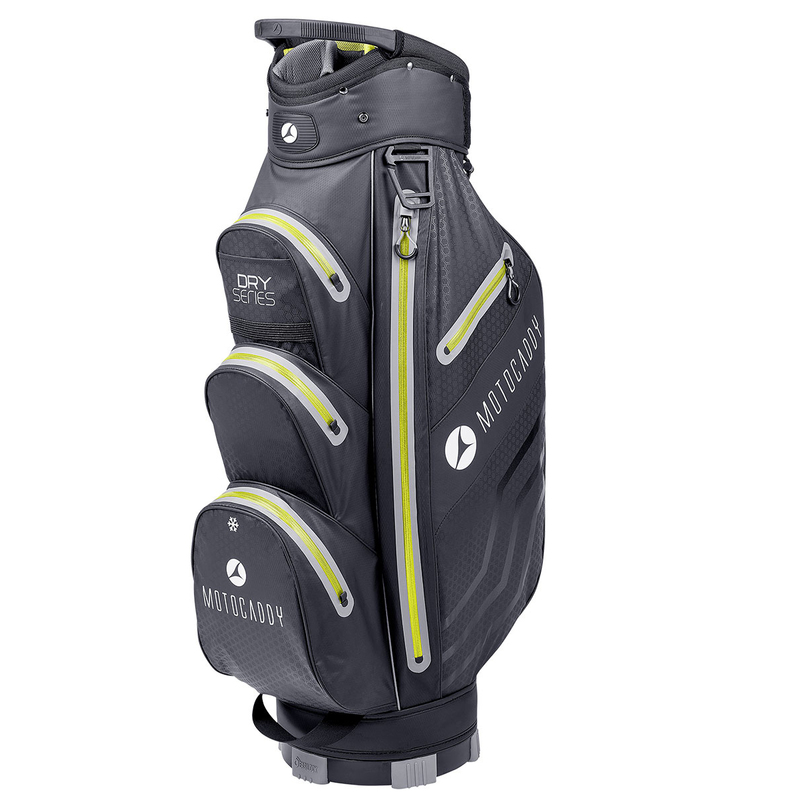 This lightweight cart bag has been developed to keep your golf equipment dry and protected, with cutting edge waterproofing, heat/thermo sealed seams and pockets to ensure your gear is 100% protected from the rain. The bag has a 14-way top organiser with full length dividers, with an oversize putter compartment to accommodate oversize putter grips. For all your essentials the bag has 7 spacious pockets, with high quality YKK zips, all conveniently placed for easy access on your golf cart. The bag has a lightweight and durable nylon construction, with an anti-twist base that is Easilock compatible, has a lift-assist handles for a secure and a more convenient placement.